When you are going to do something efficient then it is always better to have right tools. Having right tool for making your website to achieve higher rank is very much important. If you think that just finding right SEO tools will make your website a good rank then you are wrong you must also have some good SEO strategy and you should implement them correctly. But undoubtedly best SEO will help your work mush easier. Google Webmaster Tools – This tool comes as free and is very useful for webmaster or web marketer. This tool helps you to check quickly any occurrence of crawl error like redirection problems and 404 pages, backlinks, duplicate content issues and crawl frequency. SEO site Check Up – You can get free analysis and complete checking of your website with the help of this tool. Several types of elements can be check like meta tags, site data, page statistics, page notes, site security, objects and lots more and also extend its checking power over backlinks. Site Crawler – This program is available as free for Windows featuring for Google sitemap files generator. You can generate excellent Google sitemap files for your website as relevant sitemap is one of the crucial parts for SEO. Pingdom Tools – This is an advisory and effective free SEO tool which helps you to monitor network, server and website. For any instance you can test the loading time of the webpage, settings for domain name, DNs server along with the connectivity of network with the server. You can get alert through SMS and email. SEO workers – You will able to measure and analyze the ranking potential of the webpage. It is one of the best freely available powerful SEO tool. It not only analyze and audit the main elements like keywords and meta description and finds the fault in the website but also suggest what correction is to be made in order to recover the fault. You can download Firefox SEO extension which is available readily and to know much read the SEO Firefox extensions. Xenu Linksleuth – It is an SEO expert like Xenu and is mart to detect occurring of problems in your website. Xenu checks redirections issues, links and detect whether the link is broken or not, duplicate contents of title, description, meta and also analyzes the loading time. Open Site Explorer – It is the most popular SEO tool which is developed by SEOMoz. It has strong power to analyze onpage signals like outbound links, HTML tags along with their authorities. It includes all the functions of Google Webmaster Tools as well as an extra time evolution tracking feature. You can get more offers in SEOMoz Pro but you have to pay for it. In order to test you can download the free trial version. 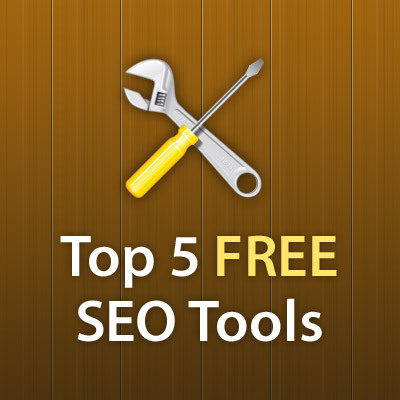 Out of several SEO tools some of the best free seo tools are mentioned above. You can save some time as they are very effective if you are able to use them correctly. Within very short period of time make your website will be at higher rank in the queue of any well known search engine. Don’t waste your time anymore to get these flawless and efficient tools.